Abbiamo appena finito una vasta ri-modellazione, tra cui nuova tessera 18x18 italiano pavimento in tutto, nuova cucina e armadi bagno con ripiani in granito, e nuovo di zecca mobili in teak stile piantagione. La nostra casa lontano da casa si trova al terzo piano, e offre una vista sull'oceano espansiva dalla camera da letto e soggiorno verande. La nostra unità si affaccia anche il bellissimo interno del complesso e / o si affaccia il paesaggio e la zona piscina tropicale ben curato (rispetto a molte altre unità che si affacciano sul e / o la montagna vista / la zona di parcheggio esterno). Il nostro appartamento è situato nel Kauhale Makai Resort, ed è anche conosciuto come villaggio sul mare. Il nostro indirizzo è 938 South Kihei Road, # 328, Kihei, Maui, Hawaii, e siamo sul lato mare di Kihei Road. La nostra unità di ospitare comodamente quattro con un nuovo letto king size Serta con lussuosi 600 fogli numero di thread, e queen size futon in soggiorno. Il nostro condominio complesso dispone di una hall con equipaggio, servizio di concierge per prenotare le vostre gite, ascensori, gettoni lavanderie su ogni piano, piscina, rinnovato di recente oltre ad una piscina per bambini e vasca idromassaggio, caminetti a gas adiacente alla piscina, una, una pallavolo putting green corte, e shuffleboard. Abbiamo anche le più incredibili campi da tennis lato dell'oceano immediatamente adiacente al nostro complesso. E abbiamo internet a banda larga ad alta velocità (la velocità più alta dell'isola). Siamo a 20 minuti da Maui - Kahului Airport. Siamo a 2 minuti dal centro di Kihei con negozi di alimentari, ristoranti e negozi in abbondanza. Siamo a 5 minuti dalla famosa Kamaole I, II, e III spiagge. E siamo a 10 minuti di bella Wailea e il lusso 'Shops at Wailea' centro commerciale. Maui è famosa nel mondo per le sue spiagge, e troverete che si può proseguire dalla spiaggia di fronte alla nostra unità all'infinito lungo la costa. Siamo orgogliosi della nostra casa lontano da casa e spero che piaccia tanto quanto noi. Pictures shown are accurate - the view is amazing and the unit is great! Bed and linens are very comfortable. The unit was clean other than the floors. We didn't wear shoes as requested, and our feet were black within an hour of our arrival. Construction on the building is ongoing. This unit is complete, but the noise made sitting on the lanai on a weekday unpleasant. Jim was a very responsive owner. I contacted him before and during our stay and each time he responded immediately. Very minor concerns: floors need a scrubbing, screen door doesn't slide, and we wished there was a little mood lighting on the lanai so we could write postcards in the evening. This was our first time using vrbo and it was a good experience. The condo was in good shape. It had lot of dishes, pots and pans a nd nice appliances. The view was exceptional. Jim was caring a d sensitive to pur needs. The construction on the property was a bit noisy. Thank you for the review. Sorry about last minute construction changes. It is now behind us. 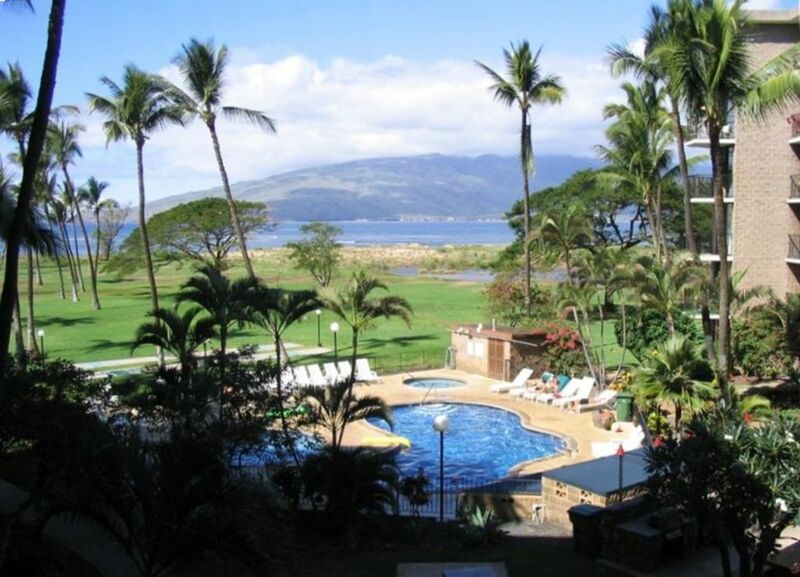 grounds kept nice, unit was clean, convenient location (we walked into Kihei, but no sidewalks for that and we drove all over the island), hot tub looked inviting but was usually very over crowded,(probably because of weather), beach a bit rocky in spots but pretty nice. Initially I was quite upset about the balcony being closed off for construction because a balcony is a must-have for me but, as it turned out, I wouldn't have gotten much use out of it anyway because of the weather. Check the status of construction before you book. Construction of our deck will be finished this week. Just the painting and tile left. Total place was under construction while we were there. Constant noise, not a relaxing vacation at all. Owner told us of some work being done, but not forthcoming on all the other things happening on the property. Did not tell us of impending noise until after the time period I would lose my deposit. If I would have known this was going on, I would have never stayed there. Not a relaxing vacation at all. Extremely disappointed. The review is not true. He was informed of all work in advance as it was relayed to me. Trying to find another place in January is very difficult. He was offered a full refund and declined it. He was also given money for his inconvenience. Good news is that construction on our lanai is done. Stayed for 30 days, views are amazing. A clever building design provides a phenomenal view for each unit while the condo interior is surprisingly spacious. The condo's kitchen and bathroom look recently upgraded and although the furniture is a bit dated it's comfortable. We had a wonderful stay at this condo! We love staying in Kihei because it's close to the beach where we spend most of our time. The condo was clean, bedding comfortable and we loved the lanai that overlooked the pool and out to the ocean. The tradewinds were blowing strong but we were still able to sit out on the lanai and enjoy ourselves. Highly recommend! Thank you for the kind words. We enjoy it just as much as you do.